has created Salt Water Mother-in-Law’s Tongues and Salt Water Mini Rubatà. We don’t add salt since the Tongues benefit from the naturally-occurring minerals in the salt water. Less sodium, more potassium, and the crunch you’ve come to expect! Salt water contains a complete spectrum of minerals that impart flavor without masking the original taste of the rubatà. The tradition of Calabria region meets the Piedmontese tradition, in this way the Mother-In-Law’s Tongues are born with onion from Tropea. 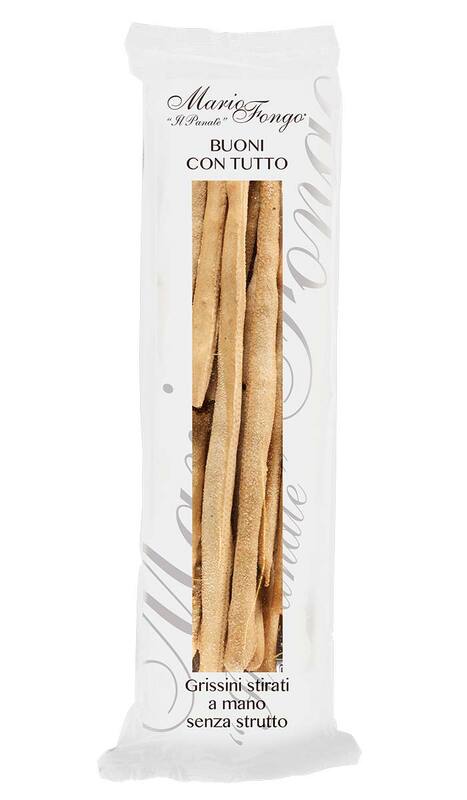 ​A unique and unmistakable flavour that will also capture the most refined palates with the intensity and the scent of onion from Tropea that blends with the fragrance and the genuineness of the Mother-In-Law’s Tongues. 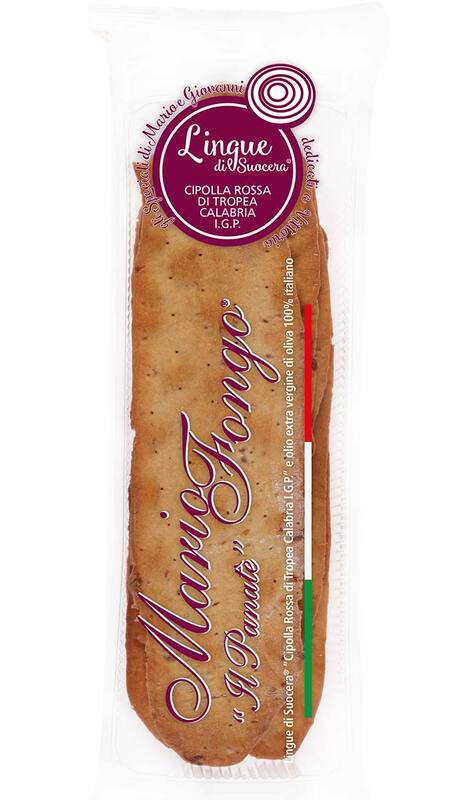 All the good part of the famous red onion from Tropea meets Mario Fongo’s stretched breadsticks in a triumph of taste and flavour. The particular method of dehydration used for onions allows to guarantee the same quality of the fresh product and to keep intact the flavours originality of tradition from Calabria region. 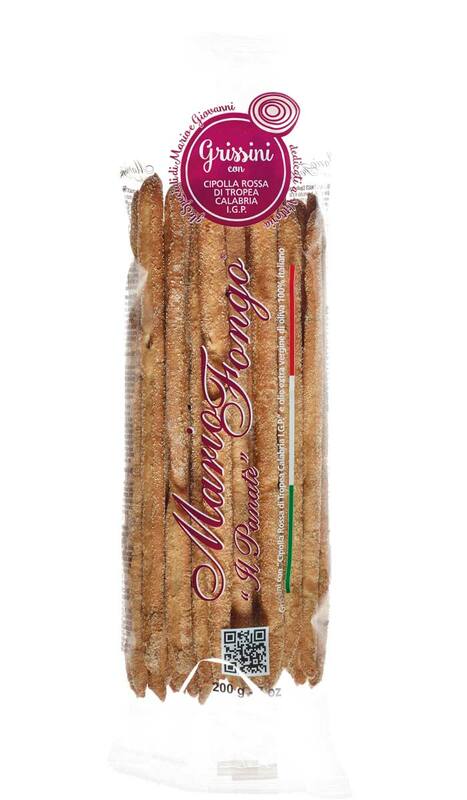 These special breadsticks have been dedicated to Vittoria, Mario’s wife and Giovanni’s mother. 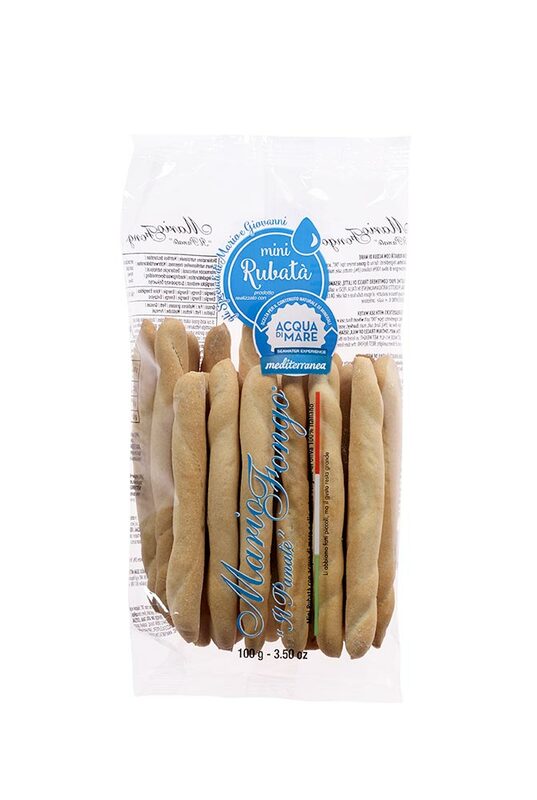 The precious flour these breadsticks are produced with is obtained through a slow milling that allows to keep intact the various organoleptic features of the black rice, such as high digestibility, richness of antioxidants and high nourishing value. The aroma of black rice gives a particular and unique smell to these precious breadsticks. 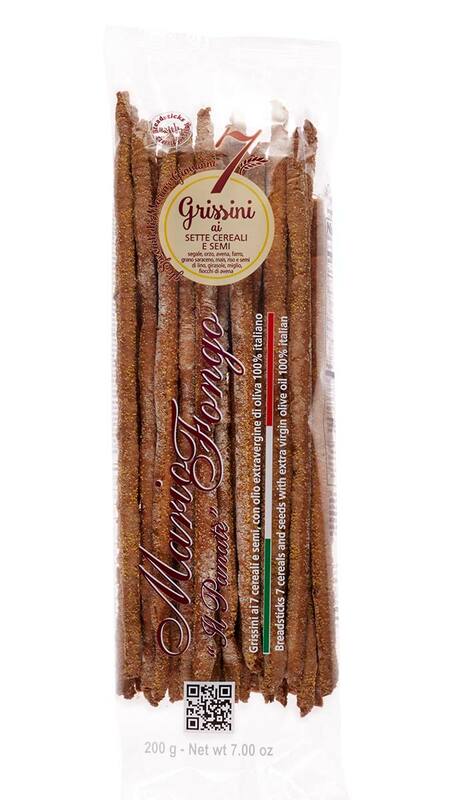 These new breadsticks are the result of a long research for the best quality ingredients. The result is a breadstick with a perfect balance among the flavours and a fragrant texture. The art of blending and measuring out skillfully cereals and seeds gives birth to these particular delicious products. Rye, barley, oat, spelt, buckwheat, corn, rice, linseeds, sunflower, millet and oatmeal are included in a healthy bite. 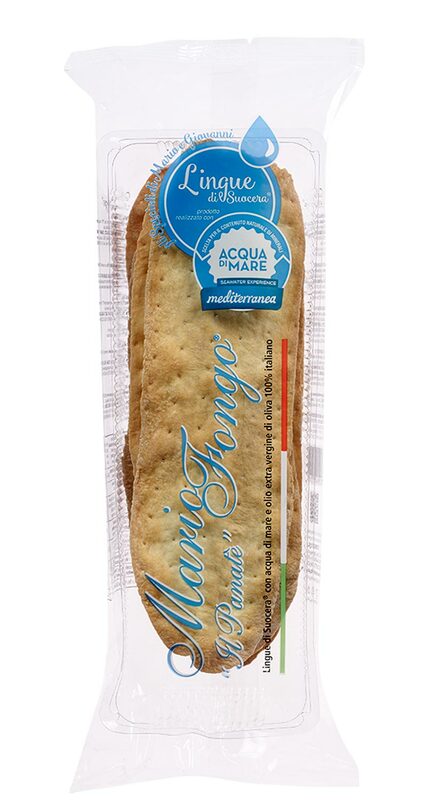 The breadsticks “Buoni con tutto” are one of those challenges that excites the Fongo family: to sell a product that is born for the usage in the bakery. Their particular crumbliness makes them unique: kneaded with a lot of water and with particular strong flours are left to stand for a long time on the baking tray. These breadsticks of unique fragrance and lightness are packaged manually. The use of coarse-grained and irregular ground breadsticks has old origins and it’s common in the kitchens of famous chefs. 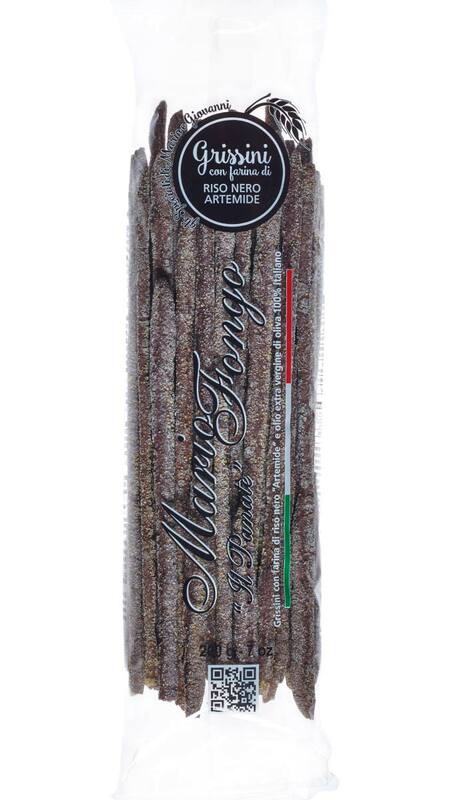 Mario Fongo’s ground breadsticks are perfect for fried food and give an irresistible crispness and browning. 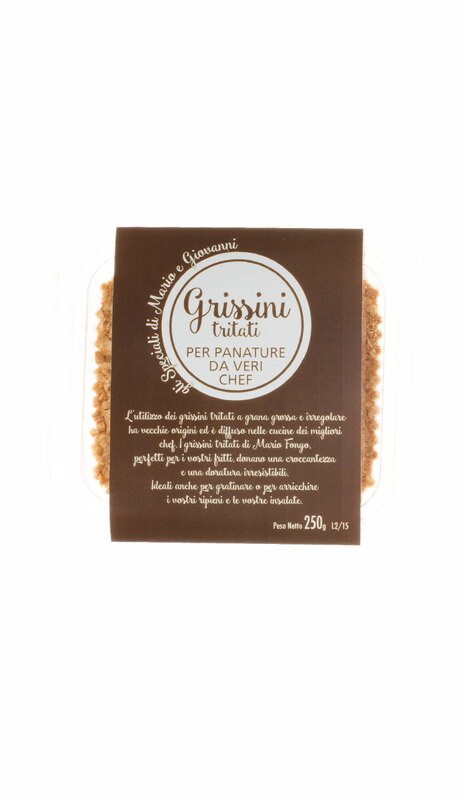 ​They are perfect also to make a gratin or to enhance stuffings and salads.